This month, an ANIMATION (or DRAWING) challenge . . . When I started to think of a new idea for this month's challenge I happened to read that at that precise moment their was a 'Full Moon' happening - and that this was thought to have an effect on the minds of people around the world. 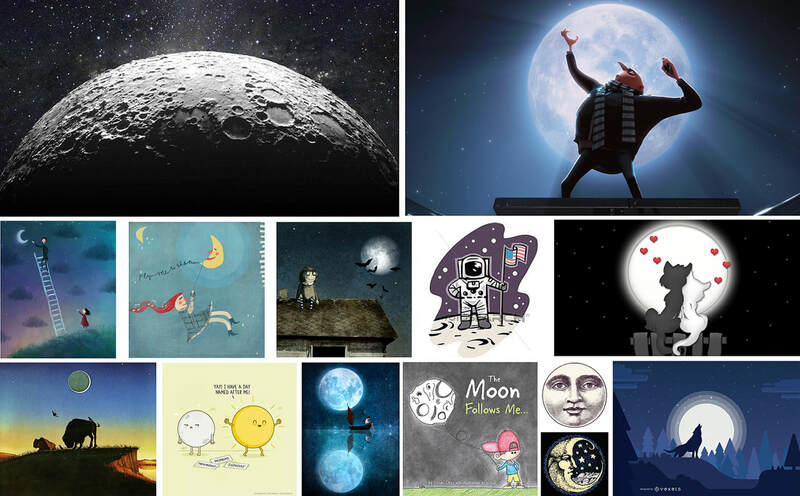 Whether this is right or wrong, I thought it would be great to see what kind of effect the Moon would have on the imaginations of our artists & animators in the Sketchclub! So this month's challenge is to create a short piece of animation (or a very cool drawing, if you can't do animation!) that's either inspired by the Moon itself, or at least has the Moon featuring in the image somehow. You can do whatever you like but please remember that we're NOT making a short film here - that is, with a story that contains a beginning, middle and an end. Instead its a very short animated action that somewhere, somehow has the Moon as its inspiration. Anyway, I have a suspicion that the Moon will have a strong effect on your imagination folks. So I'm really looking forward to see what you come up with! Submissions must be in by midnight on FRIDAY, JUNE 29th (Pacific Time).